The series will be produced by Zero Point Zero Production with Executive Producers and Founders Chris Collins and Lydia Tenaglia, along with Executive Producer Sandy Zweig. The Emmy award winning Zero Point Zero Production has been working with Anthony Bourdain for over a decade, producing Anthony Bourdain: No Reservations, The Layover, A Cook’s Tour, and Decoding Ferran Adria. 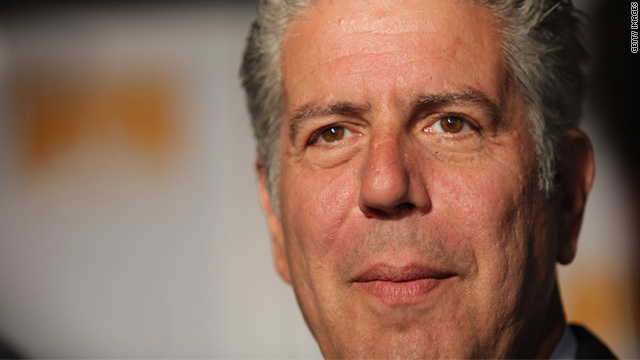 Bourdain has been the host of the award-winning Travel Channel series Anthony Bourdain: No Reservations since 2005. He previously hosted A Cook’s Tour on the Food Network and has appeared on Bravo’s competition series Top Chef and written for HBO’s New Orleans-based drama Treme. He is also the author of critically acclaimed non-fiction and fiction books, including the New York Times bestsellers “Kitchen Confidential” and “A Cook’s Tour.” He now oversees his own line of books from Ecco, a division of HarperCollins, the first three of which are scheduled to be released in 2013.